This straight away par 4 is a nice hole to start your round. Longer hitters will have a chance to drive the green while most players will be rewarded after a straight drive with a short wedge shot and a birdie opportunity. 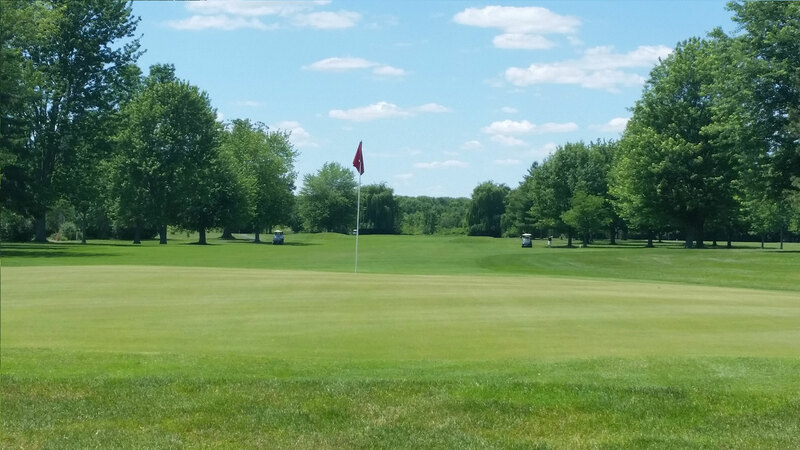 Hole Fact: Long-time SFCC member and former Club Champion Jiggs Petrucci has aced this hole an unbelievable 4 times. You should place your tee shot in the left center of the fairway to have the best angle at the green. This is a demanding approach shot to a postage stamp green early in your round. If you miss the green right or left, bogey will be a good score. Trouble Lurks: Long and right or left. 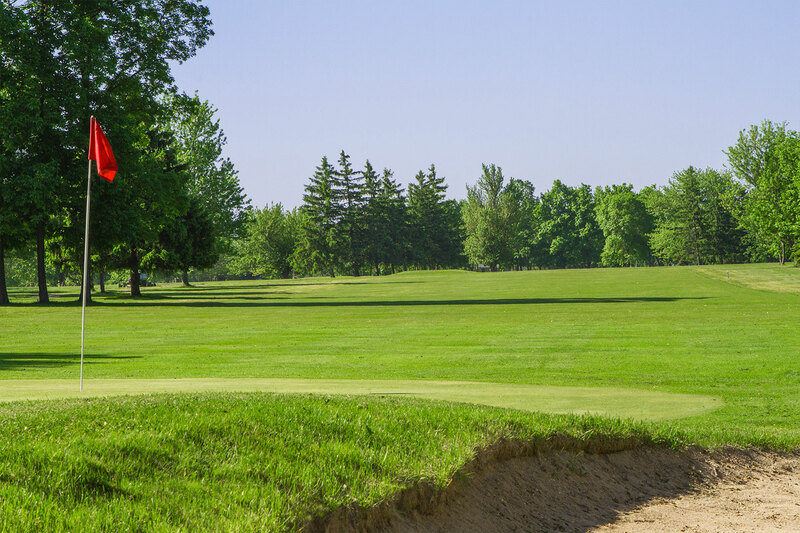 There simply isn’t enough green to stop the ball next to the pin when attempting a flop shot over the two bunkers that guard either side of the green. Hole Fact: Former member Brad Conner once holed a 125 yard second shot for eagle after chipping in for eagle on hole 1. The only known eagle-eagle start at the SFCC. Trouble Lurks: Long and left where you will have to play a flop shot over the bunker to a green that slopes away from you. To make matters worse, chances are you will have trees to contend with. Hole Fact: Steve Hyde won his 5th Club Championship on this green on the 39th hole of the 1988 Club Championship Final Match against Jim Sandlas. Slight dogleg right but watch out for the pine trees on the left. Trees on the right come into play more than you think. A drive down the left center of the fairway should leave you with a long to mid-iron into the green. Trouble Lurks: Everywhere off the tee so put it in the fairway if you want a good chance at par. Hole Fact: Jimmy Williams III won his first and only Club Championship with a par on this hole to defeat Steve Hyde on the 40th hole of the match. A straightforward hole. Be careful of the water on the left, it is closer to the green than it looks. This hole features the largest green front to back on the course so take pin position into consideration when choosing your club for the second shot. Trouble Lurks: If you miss-club and come up short when the pin is back or vice-versa you will be faced with a long, difficult 2 putt. 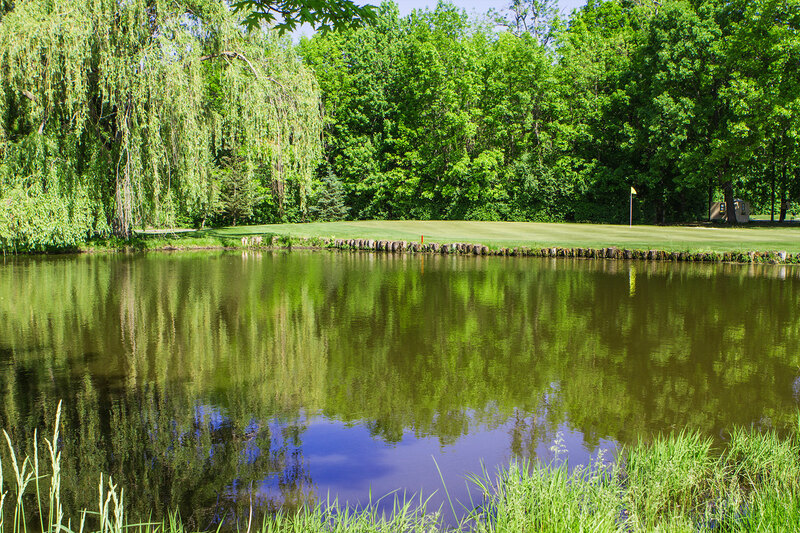 Hole Fact: The railroad ties bordering the pond greenside were installed in 1998 along with stone held secure by chicken wire to prevent the edge from further erosion. The first and longest par 5 on the course. A three-shot hole for most players. Keep your second shot back far enough to leave yourself a full shot in. This green is the most difficult on the course to hold so note the pin position when lining up for your second shot as well. Trouble Lurks: In addition to the O.B. on the entire right side of this hole, there are several trees just off the fairway in the right rough that can ruin your chances at par. Hole Fact: There are two grass bunkers that you must contend with off tee. These used to be sand bunkers but were replaced in the early 90’s. A demanding par 3. This downhill hole will often funnel shots that land short-right onto the green but there is trouble if you miss too far right or left. Trouble Lurks: If you miss the green left you are faced with a tough pitch shot to a hard green without much room to land. Hole Fact: The deepest bunker on the course was added behind the green in 1992. In 2005 the bunker was filled in and now serves as a grass bunker. 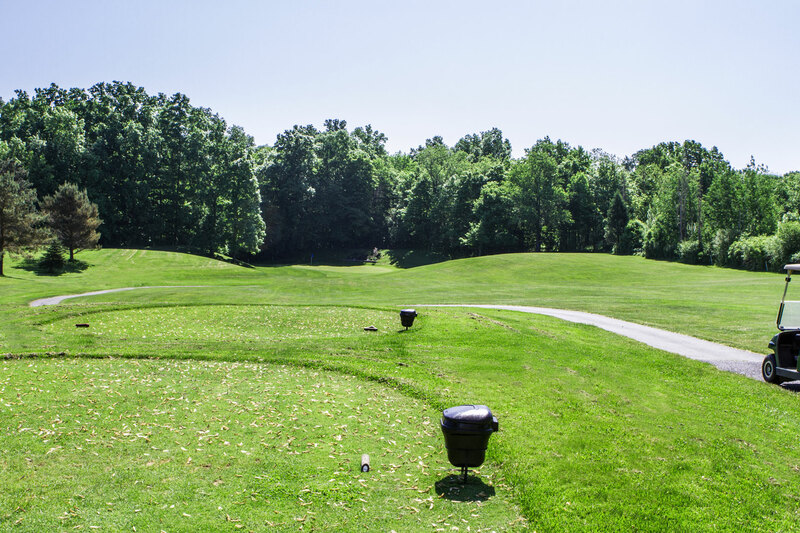 Your drive must be hit straight out of the chute to a generous fairway. This should leave the golfer with a mid to short iron to this two-tiered green. 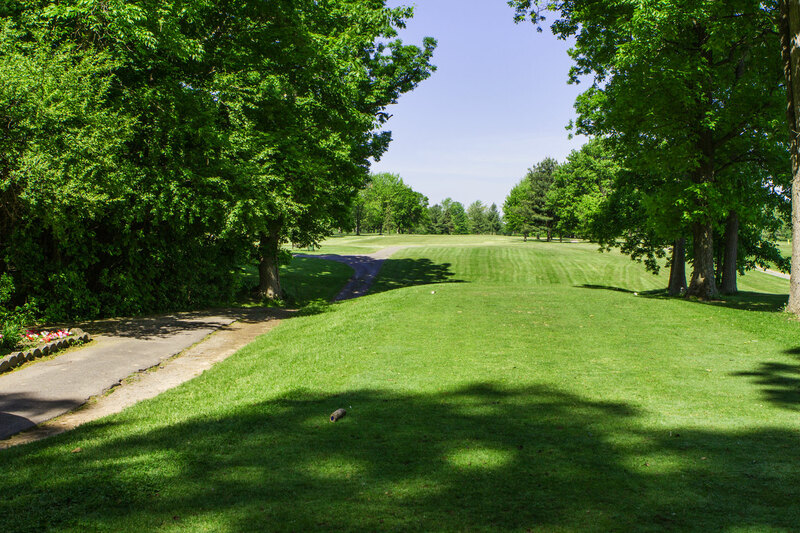 Trouble Lurks: If you bail out on the tee shot to the right your next shot will most likely be blocked by a large maple tree positioned about 100 yards from the green or your swing may be impeded by a variety of other trees further back in the rough. 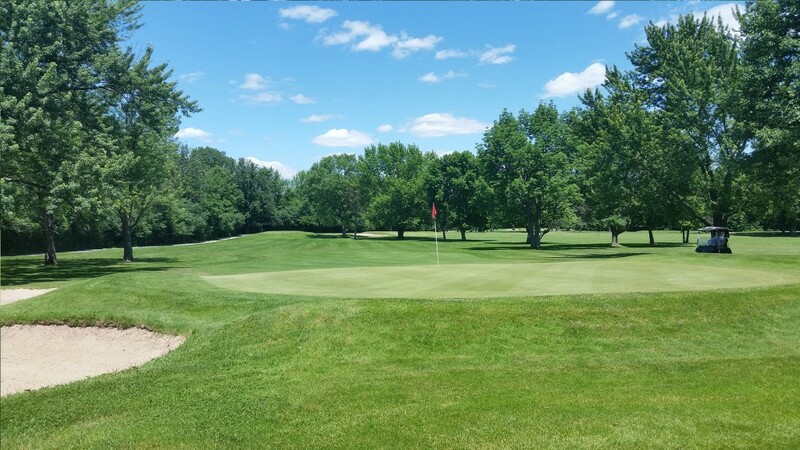 Hole Fact: The tee was rebuilt and lengthened on this hole under former Superintendent Paul Clark in 1989. This added about 10 yards o the hole from the blue tees. Long hitters can reach this narrow green in two but this is a three-shot hole for most. When laying up, beware of the parking lot left which is out of bounds. 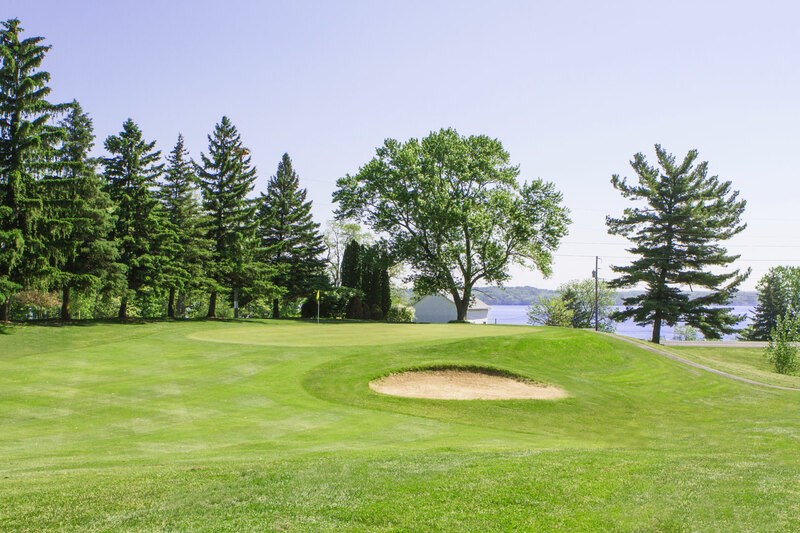 Your second shot should leave you a 70-80 yard pitch shot into the green with the sparkling waters of Cayuga Lake in the background. 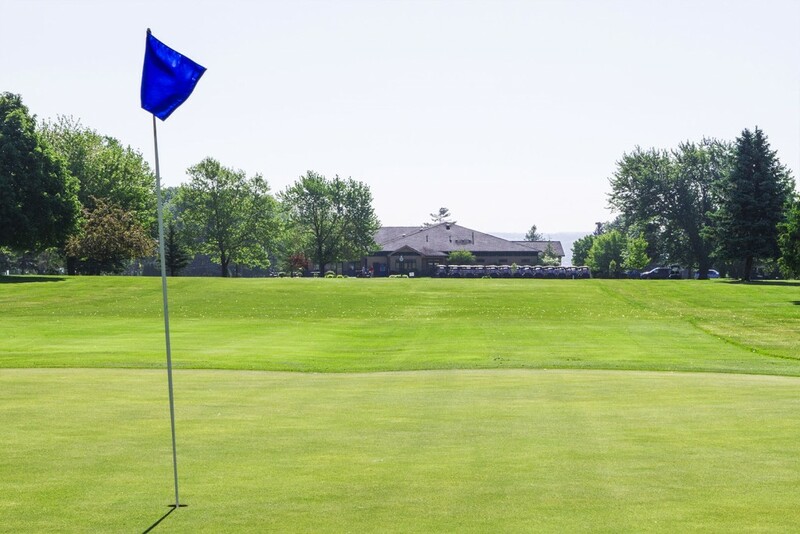 This approach is one of the prettiest shots in Central New York. Trouble Lurks: Don’t leave your approach out to the right as there is a severe drop-off to the right side of the green. This can lead to a big number. 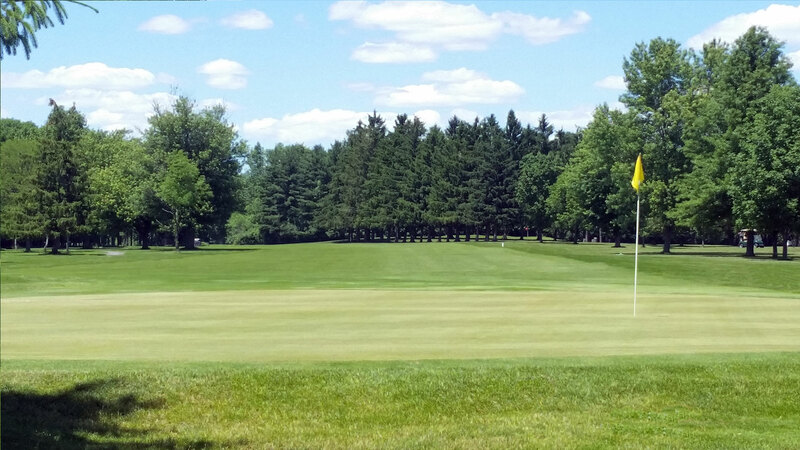 Hole Fact: This green was moved 50 yards to the left to it’s present location in the 1960’s under long-time Superintendent Henry Cerep.